Accent your bedroom with the Fog & Seagrass Bed Bench. 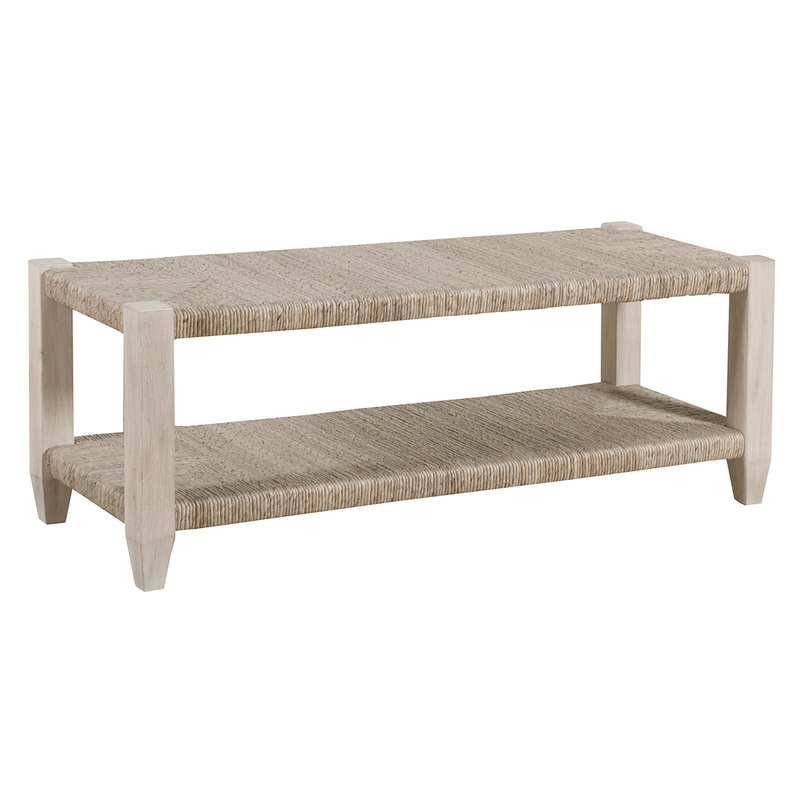 This bed bench features clean lines and twist woven banana leaves for a coastal addition to your home. 50"W x 26"D x 30"H; 61.7 lbs.